· An excellent bit of kit that comes complete with two transfer hoses, each one measuring approximately 50 inches long. · It also comes with a dipstick tube measuring approximately 47” (119.38cm) in length, plus a couple of other attachments as shown in the image so it can also be used to inflate beach balls, etc. · It can be used to transfer any low-viscosity liquid and doesn't require gravity like some pumps, so it doesn't need to be lower than the source you are draining. 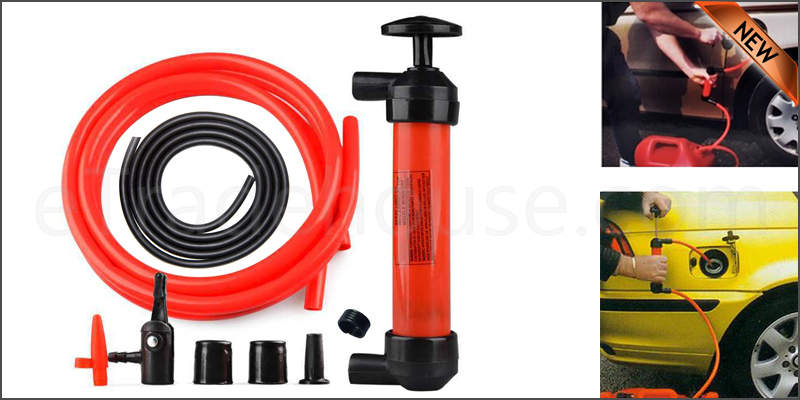 Fuel Oil Diesel Liquid Extractor Transfer Pump ToolKit.